If you have ever read my blog before you will know my writing always comes from the heart – I am an extremely passionate person. I always express my deepest emotions. 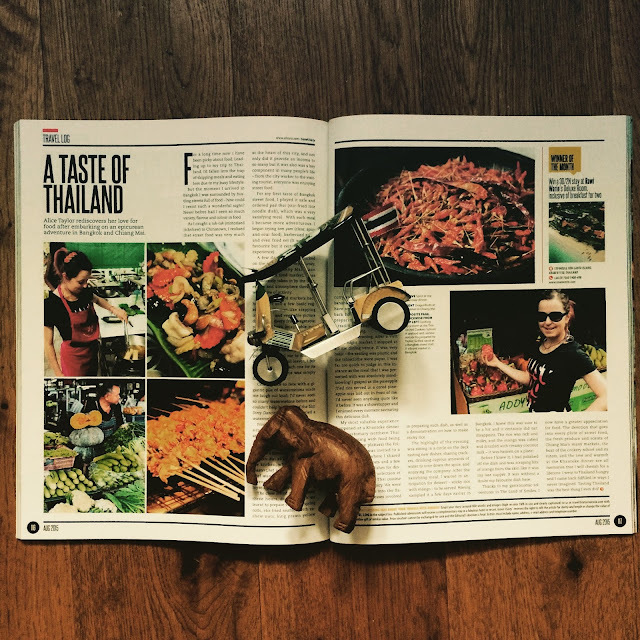 When we travelled to Thailand in May this year – I didn’t know what to expect or how I would feel. What followed was a life-changing trip around Asia. I experienced a mind-blowing culture that quite honestly stole my heart. Every step of the way I lived like there was no tomorrow, from exploring the bustling streets of Bangkok to absorbing the tranquillity and karma of Ayutthaya. When we arrived in Phuket, in the early hours of the morning I was overcome with a desire to write. I then stayed up the entire night writing. It was mad, and a little bit crazy, but in every way essential. I wrote this post and cried almost the entire time whilst typing. And then, something inside of me changed. I began writing with a meaning, a purpose, a force of passion and the 11 year old Harriet the Spy in me had been let free. This time determined to fulfil the desire she’d carried in her heart for 15 years. When we arrived home my mind was bursting with thoughts – I told everyone I saw that I still felt my soul was in Thailand – The Land of Smiles. I was beaming, and so overjoyed that I had so much passion and enthusiasm about my travels. One afternoon after a 8 hour shift doing my 9 to 5 job, I came home, set up a desk in the garden and poured my heart into writing a travel log. The words flowed like a waterfall, before I knew it I had written a full page. Coupled with delving into my picture heavy Thailand folders – I had produced a piece of writing that I was proud of. It felt almost like being back at school working on one of those incredible history projects for Mrs Sharples. This wasn’t homework though – this was real. This was a true story of a girl who had discovered a new continent, a new culture, but above all a deep sense of herself. 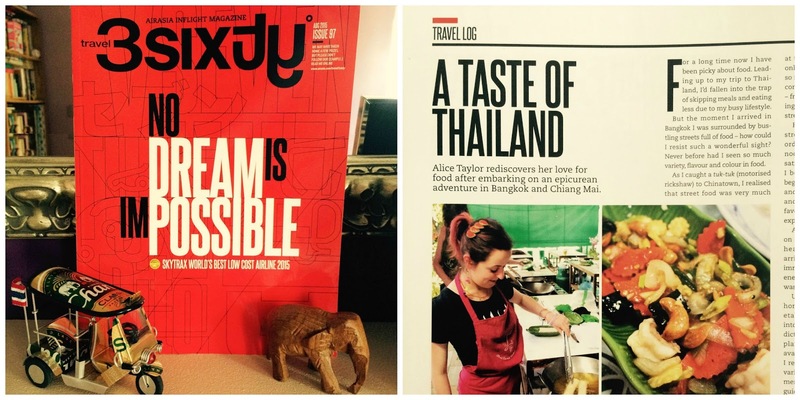 I then submitted the article to Travel3Sixty magazine (AirAsia’s inflight magazine). I never dreamed I would see my name in print (my married one) not so long ago this girl would have never dared pose for a photograph or even think of being seen in public. But, this is further proof that destiny and dreams do exist. They take a lot of hard work, and believe me a lot of nurturing. Dreams are precious. Never stop believing in them. Very happy for you, Alice(so well-deserved too:)! This is amazing, well done you! It's a little bit surreal. I am so pleased with the finished article. Thank you so much Linda - you know I sometimes forget how far I've come (from the girl who was crippled with shyness and could barely speak to a stranger). Oh Gosh <3 you are making me emotional Rebecca! Alice this is amazing, well done. What a journey you've been on!